Glenfarclas Distillery replaced a shell-and-tube evaporation system that was suffering from a serious loss of efficiency due to fouling and scaling, with an evaporation system from Alfa Laval utilizing plate heat exchangers (PHEs).The energy required for evaporation is recovered from the distillation process. Installed in 2008, the efficiency of the new system has enabled Glenfarclas to increase the concentration of its Pot Ale, a distillation by-product. In addition, the low fouling and scaling rate and ease of opening and cleaning of the PHEs, have substantially reduced downtime at the distillery. Pot Ale, or spent wash, is a by-product from the first distillation stage in malt whisky production. 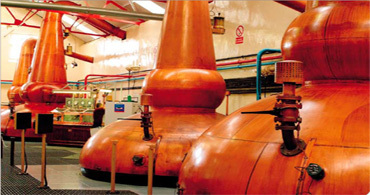 At Glenfarclas, Pot Ale is concentrated to around 45% solids using evaporation before being sold to feed producers. 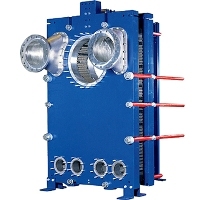 Prior to the installation of the Alfa Laval system, the distillery employed a conventional falling film, shell-and-tube evaporator for this duty. Alfa Vap works magic on any company's evaporation and conden-sation costs. AlfaVap units take up much less expen- sive space, thus greatly reducing the investment cost. It's a hundred times better than the old system! Apart from a scheduled summer close-down, it has run without interruption, producing the quality and consistency of Pot Ale we want.